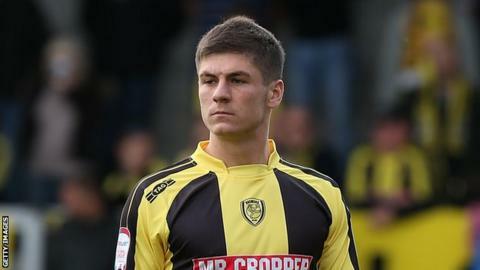 Brentford have extended the loan deal of Rob Kiernan from Wigan Athletic until the end of the season. Kiernan first joined the Bees on loan in November, making seven appearances before returning to Wigan. The 21-year-old defender re-signed for a second loan spell at the beginning of January, but has now agreed to extend his stay at Griffin Park. Brentford's sporting director Mark Warburton told the club website: "Rob has a real appetite for the game." Warburton continued: "He is so keen to learn and he has huge development potential left in him. It is a pleasure to work with Rob and we look forward to some very good performances in the months ahead." Kiernan is a Republic of Ireland Under-21 international able to play in defence or in midfield. He began his career at Watford before moving to Wigan in 2011, but has yet to make an appearance for the Premier League side.